Lindstedt’s conclusion that linguists’ lack of certainty on an intricate and complicated issue means that they “are doing less well” seems to me to be rather simple-minded. The reason that that Lindstedt’s little experiment would go the way he describes is that linguists, like other scholars, try to be as precise as they can about the concepts, definitions, and terminology that they use—before drawing any conclusions about the issue at hand. Laypeople spend much less time thinking about definitions, especially for terms that are (deceptively!) simple—such as “simple”. But what does it mean for a language to be “simple”? The reason that linguists “raise eyebrows and remain unconvinced” is that there are numerous ways to conceptualize simplicity when it comes to language. One approach is from the applied perspective: a “simple language” is one that is easy to learn. But easy to learn for whom: children or adults? Speakers of what language? Under what circumstances? As the copious comments on my post titled “What is the most difficult language to learn — and why?” (the most frequently commented of all posts to date!) make amply clear, even in this applied sense, the notion of “simple language” is far from simple. But such a utilitarian view of language simplicity (or complexity) is not the only possible one. Theoretical linguists are much more interested in the notion of “descriptive complexity”, which need not coincide or correlate with the simplicity of learning a given language. But even when it comes to descriptive simplicity, there are many scales on which a language can rank as “simple” or “complex” (or somewhere in between). For example, a language like Ju|’hoan (a Khoisan language of Botswana) with numerous click sounds is more complex than Hawaiian (an Austronesian language) with the total of 8 consonants. Greenlandic with the mere three vowels is simpler than English, which has well over a dozen vowels (with different dialects/accents differing widely in the number and inventory of vowel sounds). A tonal language like Cantonese is more complex than a tone-less language like Russian (although in the latter, intonation is used extensively to express syntactic meaning). Beyond “the grammar of sounds”, there is morphology (the grammar of words) and syntax (the grammar of phrases and sentences). Morphological complexity is in some sense the most obvious of the different aspects of “descriptive complexity”: shorter words are simpler than longer words, monomorphemic words are simpler than words made up from multiple morphemes, a 4-slot case paradigm (e.g. as in Turkish) is simpler than a 19-slot paradigm (in Hungarian), and likewise, a 6-slot verbal agreement paradigm (verb forms for ‘I’, ‘you’ (sg. ), ‘he/she/it’, ‘we’, ‘you’ (pl. ), and ‘they’) is simpler than a more involved paradigm such the 8-slot paradigm of past tense in Modern Hebrew (distinguishing not only ‘he’ and ‘she’ but also masculine and feminine singular ‘you’). But other aspects of morphological simplicity are much more difficult to decide on: is a fusional language with fewer inflectional morphemes per word but with complex interactions between adjoining morphemes simpler or more complex than an agglutinative language where multiple inflectional morphemes are stacked like Lego pieces but there is little interaction between individual morphemes? For example, is Russian, where number and case of a noun are expressed by one morpheme, simpler or more complex than Tatar, where a case suffix is added after the number: e.g. Russian jablok-ami, where the suffix –ami expresses both plural number and instrumental case (vs. plural number genitive case expressed by a zero suffix or singular number instrumental case expressed by –om) vs. Tatar alma-lar-nıŋ, where –lar means plural number and –nıŋ means genitive case. Syntactic complexity/simplicity is likewise difficult to define: for instance, is a language with a fixed word order like Tatar (which is Subject-Object-Verb) simpler or more complex than a language that allows a rather flexible word order like Russian? Is any particular fixed word order more or less complex than any other? For example, is the order in Tatar more or less simple than the equally fixed Subject-Verb-Object order in English? One easy conclusion that emerges from this discussion is that languages as a whole are equally complex. Lindstedt refers to this view disparagingly as “the dogma”. “A language that is simple in one respect offsets this with complexity elsewhere. But no one could really explain how such a compensation mechanism could work, or why it should really exist — except to save the dogma,” writes Lindstedt. That statement is actually misinformed (at best) or deliberately misleading (at worst). A great deal of work has been done to explain such “complexity compensation mechanism”. For example, it has been shown that when languages lose complexity in the inflectional domain, such as lose the case system, they offset this loss by complexity elsewhere, particularly in the domain of syntax. This is exactly what happened to English as it transitioned from a highly inflected Old English to case-less Modern English. Why such compensation happens? Because we must be able to express certain notions: we need to be able to refer to things and actions, to keep track of who did what to whom in any given event, and so on. Similar “compensation mechanism” exists—and for similar reasons—in the domain of phonology, “the grammar of sounds”. Languages with small vowel inventories tend to have large consonant inventories, or to rely on vowel length, tone and the like to make enough distinctions. Languages that allow only a small range of syllable types (typically, V and CV, and maybe some CVC thrown into the mix) typically end up having longer words, with more syllables, as do languages with small sound inventories. Simply put, one has to have enough allowable sound combinations (word forms) to express a wide enough range of meanings. 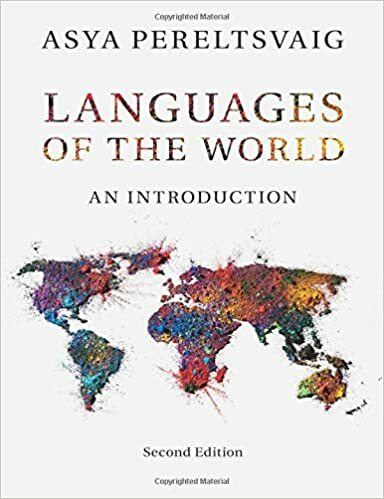 Lindstedt follows his bashing of linguists in general by referring to the work of John McWhorter, who has been developing a theory of “language simplification”, which in What Language Is? he calls “Persian conversion”. McWhorter’s illustrative example is (Modern) Persian, which lost a lot of its complexity, as it developed from Old Persian, the common ancestor of both Persian and Pashto. The latter, unlike its “sister language” Persian, has retained much of that Old Persian complexity. The reason, according to McWhorter, is that Persian has for centuries been the lingua franca of numerous reiterations of the Persian Empire, while Pashto was the language that only Pashtun kids picked up from their parents and very few people outside the group ever cared to learn as their second (or third, etc.) language. It is the massive and “imperfect” learning by adult speakers of another language that causes “simplification” in McWhorter’s theory. [The term “imperfect” is used here in a technical sense, referring to acquisition by adults who never acquire the language the same way that native speakers do.] Other examples of Persian conversion include Moroccan Arabic, Bahasa Indonesian, and English, which was learned by successive generations of first Celts, then Viking settlers, and finally the Normans. 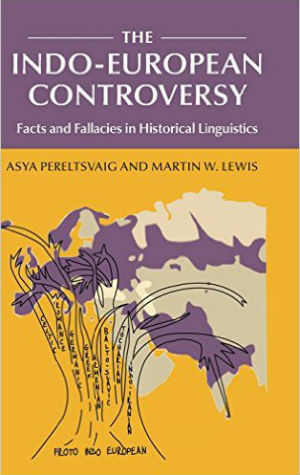 Thus, Lindstedt’s claim that “linguists have done according to the motto ‘if the theory and the reality do not match, woe to the reality’” is plain wrong—as well as offensive. And as many other such offensive statements, it reflects badly more on the person who says it than on those of whom it is said.